Selling your house is a lot easier with the help of a seasoned real estate agent. In addition to guiding you through the listing process, they will also help your home stand out and look more photogenic. Several beautiful images of your home—at various angles and in different lighting conditions—will allow prospective buyers to better visualize themselves living there. Here’s what you should know about taking photographs to promote the sale of your home. Because more homebuyers rely on the Internet to look up property listings, real estate professionals have had to boost their online marketing game. Professional-looking listing photos help a property sell faster, reducing the average time they sit on the market by almost five weeks. If you want to further shorten the time frame, consider taking more quality images of the same room from various angles to use in your listing. From the get-go, homebuyers are able to see whether they’re interested enough to do a house visit. In addition to faster turnover, listings with captivating, post-processed images can command higher prices compared to ones that have amateur photos. 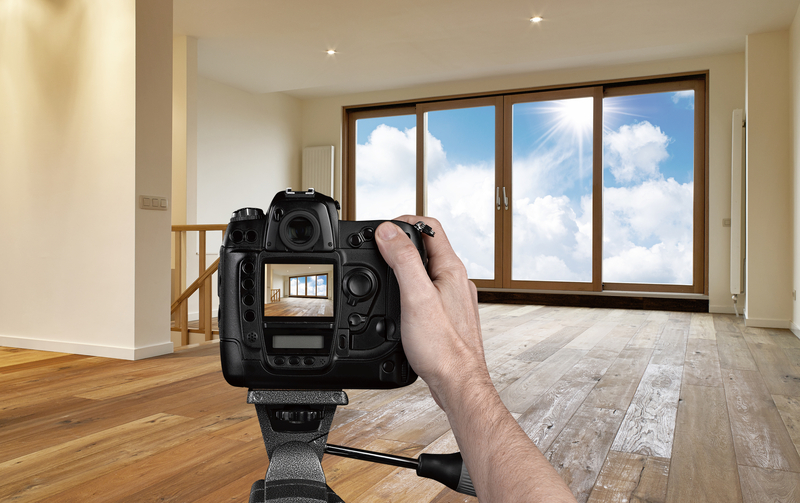 When selling your house, consider hiring professional real estate photographers who can capture and highlight your home’s features while downplaying its imperfections. When selling your house, make it look straight out of a magazine with a few styling tips. Clean & Clear: Be sure to get your house cleaned and keep your countertops and tables clutter-free. Stowaway stray items like mail, towels, magnets, and toiletries where the camera won’t capture them. De-personalize: Remove any personal belongings, photographs, and knickknacks that will remind buyers of the home’s previous occupants. Keep crisp, white towels in the bathroom to make the room look fresh and clean. Spruce It Up: Add pops of color and accents in your rooms, but do so sparingly. Consider a vase of garden flowers with greens on tops in lieu of a fruit basket. Place throws diagonally across benches or armchairs for a cozy look. Bring in More Light: Open the curtains and pull up the window treatments to let in natural light. Outdoor light will make your space look larger and add a glow that softens shadows. Boost Curb Appeal: Remove fallen leaves and trim overgrown shrubs in your garden. Be sure to relocate the trash bins and clear away cars to keep your facade as unobstructed as possible. When selling your house, a set of good, well-lit photos will entice more buyers to take a second look at your property. Work with the experienced real estate agents at Lawrence Realty to make your home stand out. Serving the community in and around Red Wing, MN, their team of local realtors have helped countless clients since 1948. Call (651) 388-4745 for a consultation or visit them online to browse their real estate listings.